Heavy Hex Nuts are available in variegated materials, grades and sizes. We manufacture, export and supply quality Heavy Hex Nuts. 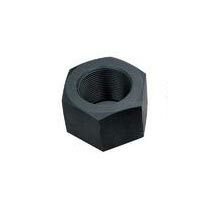 Only authority approved material and fabrication techniques are used for developing flawless range of Heavy Hex Nuts. These nuts are applauded for great strength, exceptional durability and anti-corrosive properties. Owing to our high production capacity, we specialize in taking up the bulk orders of Heavy Hex Nuts. We assure safe and timely delivery of the same with our modern transportation facilities.